If you follow Gargling Gas you’ll know I’m a big fan of the Subaru WRX – I’ve owned two and currently drive a slightly modded Prodrive WRX. 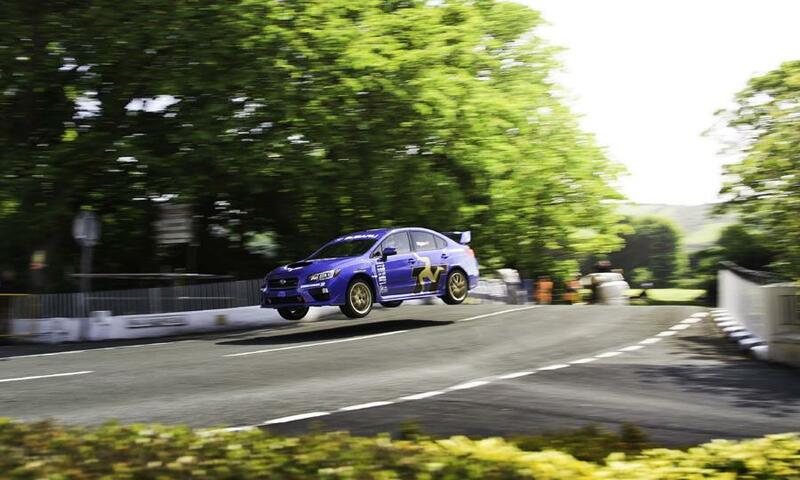 They are fast, relatively cheap to maintain and reliable given their performance and great handling – after all, their technology (yes, all WRX owners will tell you this, on more than one occasion) has been tried, tested and developed in the WRC. Anyway, enough of me going on and mentioning the great Colin Mcrae and Robert Burns as there’s another name making the headlines in the auto world. 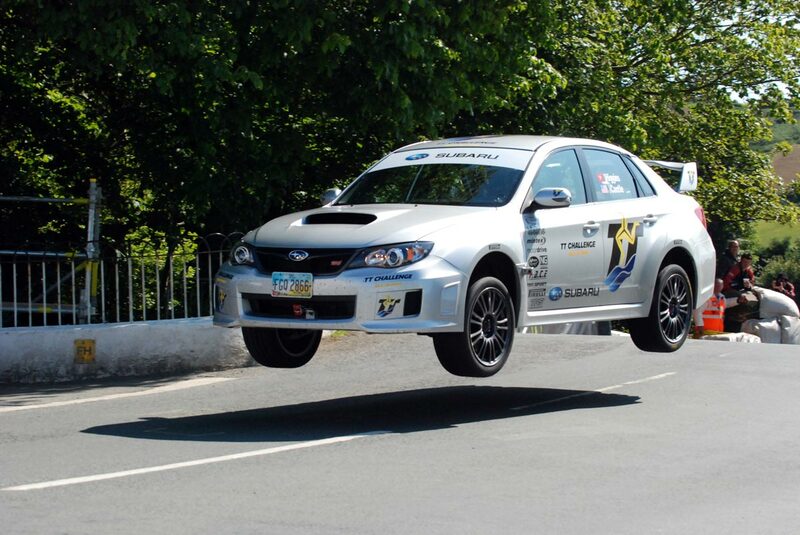 Three-time British Rally champion, Mark Higgins set a new lap record of the Isle of Man TT course in a stock US spec 2015 WRX STI (pic above), albeit it with additional roll-cage, race harness, fire suppression system and modified springs and dampers. 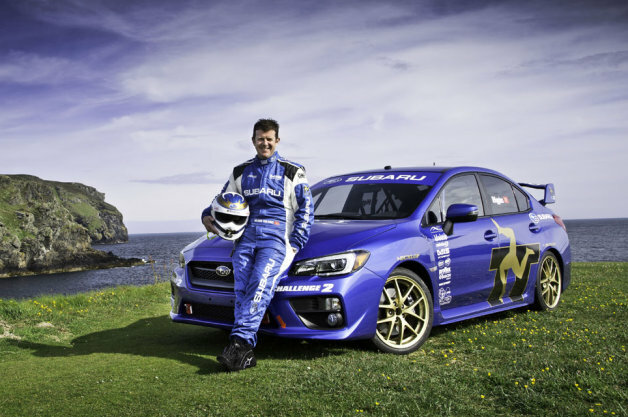 Renowned worldwide as the superbike road course where mistakes aren’t forgiven and deaths are common, Higgins previously set the lap record in 2011 driving a (you’ve guessed it) Subaru. I say mistakes aren’t forgiven, but Higgins must have had the gods looking over him in 2011 when he made a spectacular 150-mph save. Check out the footage below and watch just how much he jostles with the steering wheel to keep the rocket from slamming into the walls. In an interview after, the Manx driver claimed the only way out of that situation was to simply floor it and power his way out of the drift. The guy has real skillz, agreed? This time round Higgins completed the 37.75-mile (60.7km) death run in 19:26, just over half a minute quicker than 2011. The impressive package from Subaru averaged a staggering 117.510-mph, staggering because the course isn’t exactly racetrack smooth. 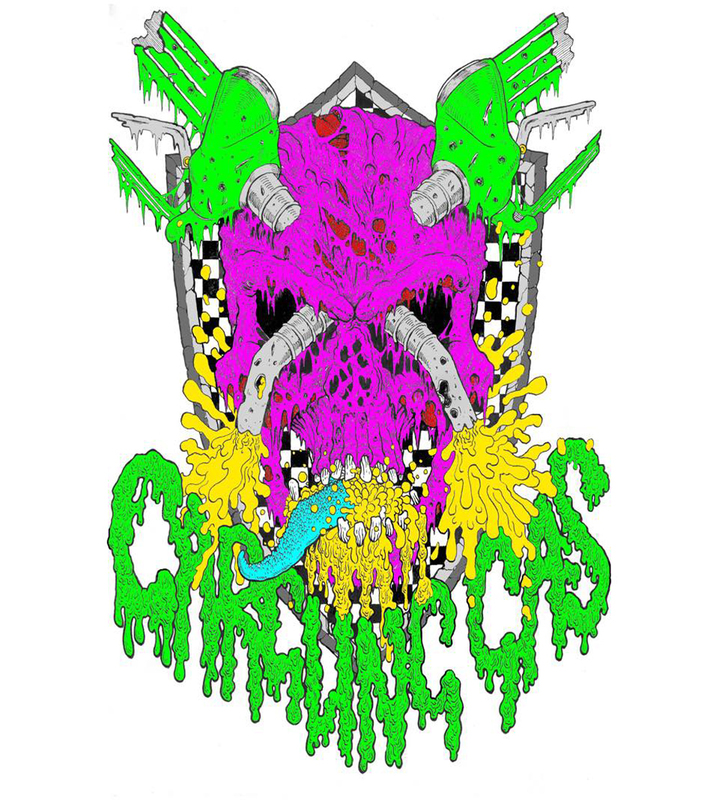 As soon as any video footage is released, you’ll find it on here. 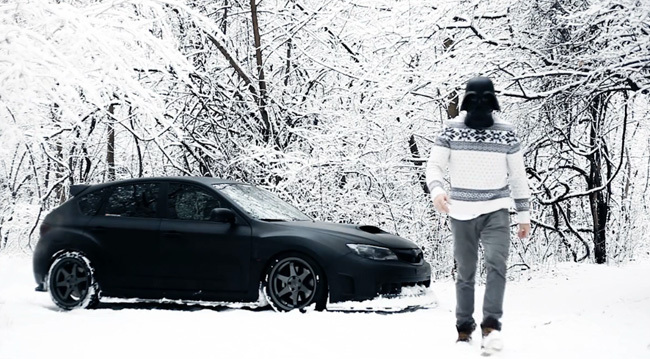 This is a superb video from Airsociety using the contrasting flat black STI with the pure white snow. Although this concept has lost a lot of the Subaru WRX feel, it still looks amazing.